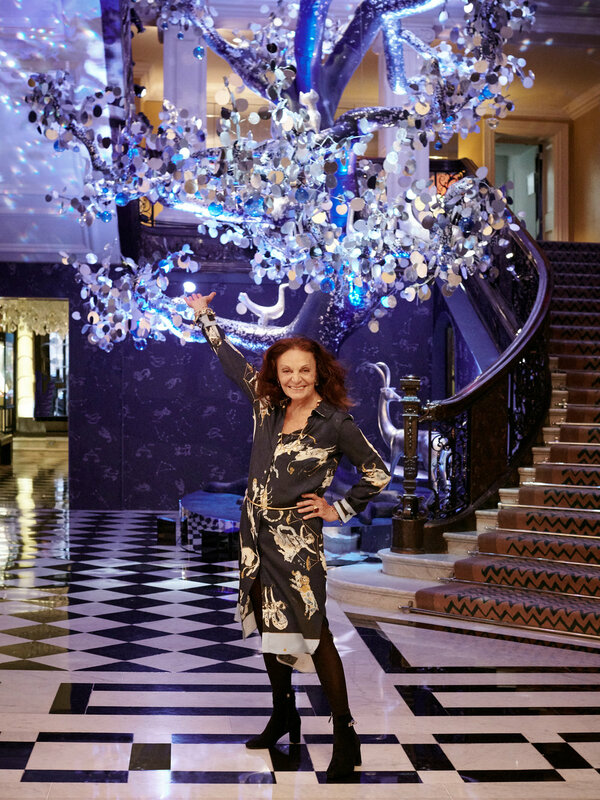 The Claridge’s Christmas Tree 2018 has been revealed, designed by fashion icon Diane von Furstenberg! Named ‘The Tree of Love’, Diane’s creation symbolises life and nature. The tree is inspired by her passion and strong belief in the power of love. The lobby of Claridge’s has been reimagined under Diane’s creative vision with a magical midnight blue skylight covered in dazzling stars and astrological star signs from the constellation encouraging us to look upward to the sky for inspiration. The six metre sculptural ‘Tree of Love’ is coloured with a blue iridescent lustre and shimmer and is decorated with over 8,000 hand painted silver-leafed leaves, glass spheres, as well as, of course, 150 hand-blown glass hearts. 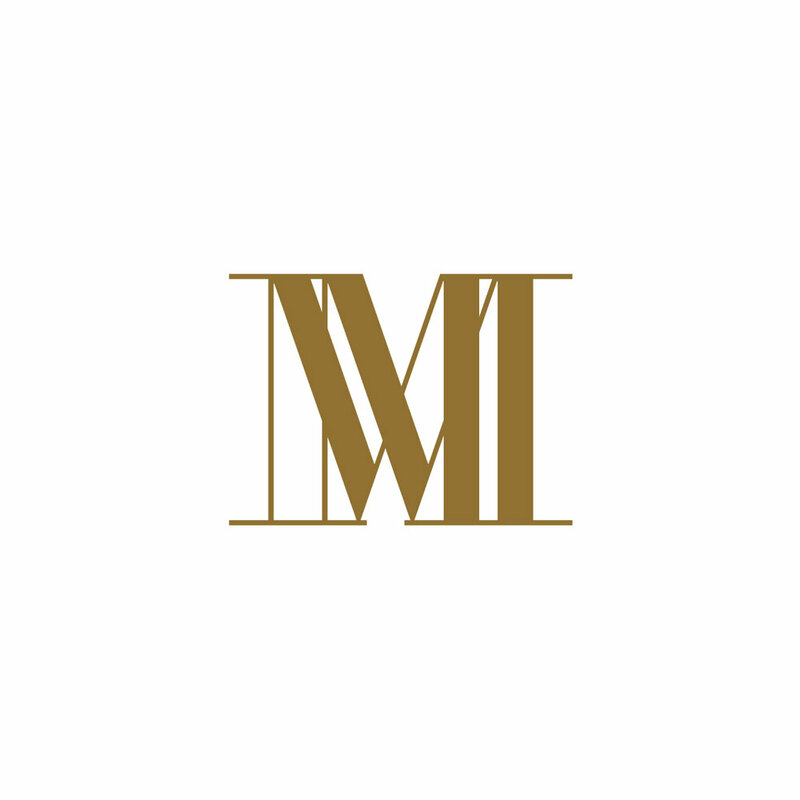 There are six different silver-leafed abstract designed animals, from an owl representing knowledge and wisdom, a dove, peace and a horse strength and endurance. A sculptural deer representing gentleness sits at the base, a peacock representing beauty, and nestled gently sleeping is a silver leafed mouse to symbolise curiosity. The idea of the tree is that all is derived from the universe and the tree winds its way upwards towards the heavens from its roots. A celestial backdrop and zodiac signs fully encompass the tree. Diane has also included important, symbolic words that have long been her mantra including Peace, Harmony, Knowledge, Truth, Freedom, Enlightenment and Wisdom. For this festive project Diane has worked closely with long-time friends and collaborators; artistic set designer Stefan Beckman, artist and illustrator Konstantin Kakanias, and astrologer Shelley von Strunckel. The Claridge’s Christmas Tree has long symbolised the start of the festive season in the capital, drawing visitors and Londoners alike to admire its magnificent design. This is the ninth year that Claridge’s has invited a distinguished guest to reinterpret the tree in their own distinctive style.